The theory of a false deal is quite simple. 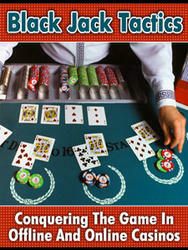 It is to deal cards from various portions of the deck besides the top (or to control the card you are dealing) while making it appear as though you are dealing normally. It is this idea of making it appear as though you are dealing normally that is so key. Obviously the process is not the same, after all, no matter how much attention you give to the concept when you are dealing cards off the bottom of the deck they will always be coming off the bottom and thus not appear as though they are coming off the top. As such, we must do things to obscure the reality that a false deal is occurring. The basis of this is in the mind, since most people automatically assume that you are dealing cards off the top of the deck as per normal. Due to this simple fact, you can get away with false dealing even when it is quite sloppy. However, in any company you should avoid giving the audience any reasons to suspect that you are false dealing, thus you aim to make all your deals uniform, regardless of whether they are true or false. Now, someone who is aware of false deals may offer you some degree of additional scrutiny, which will mean you need your deals to be somewhat better, many of the sloppy habits must be forcefully eradicated! If the person is unversed in the art of detecting a false deal or invisible false dealing they will likely be watching for the false deal itself and perhaps paying attention to a couple common tip-offs. These are generally fairly easy to avoid and shouldn't cause any major trouble for the concerned professional. 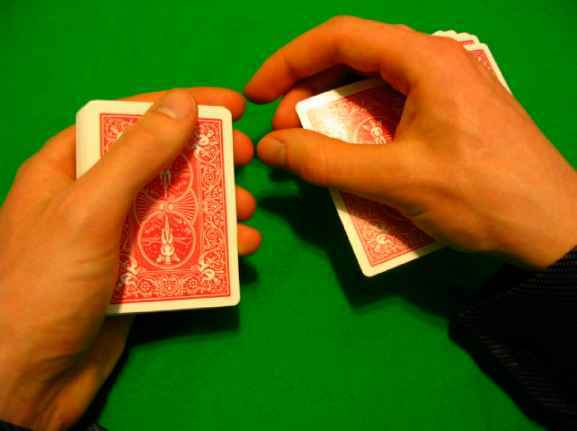 However, if the individual watching is a master at detecting false deals, he or she will be observing the top card to see whether it is being dealt from the deck and depending on the angle of observation this can be a very difficult point to conceal. Essentially, based on what I have just stated I consider there to be fairly broadly, four levels of skill at false dealing. First, you have the point at which you cannot fool amateurs, where someone watching you deal will see that you are dealing cards from another portion of the deck (note that generally they won't be able to tell where, merely that it is not from the top). Do not perform until you are well past this level. Then there are those who can fool amateurs and laypeople, they have numerous tip offs, but the false deal isn't obvious to someone unaware of the possibility or paying close attention and so the psychology takes over causing them to assume the deals are real. Next, comes the ability to deceive most professionals. There are very few tip-offs, the tip-offs pass quickly and are very subtle, but angles are often used to make the deals seem invisible. Few people move past this level and honestly, it isn't particularly necessary to move past this level. The final level and I must admit, I cannot perform all my deals to this level, is the invisible deal, where there are no tip offs from any angle and tops themselves are invisible. Meaning that someone looking to see if the top card was dealt will not be able to tell on the true deals and thus not recognize the difference in false deals. It is extremely difficult and in some cases arguably impossible to reach this level with most one-handed deals, but fortunately, as I mentioned, it really isn't necessary.